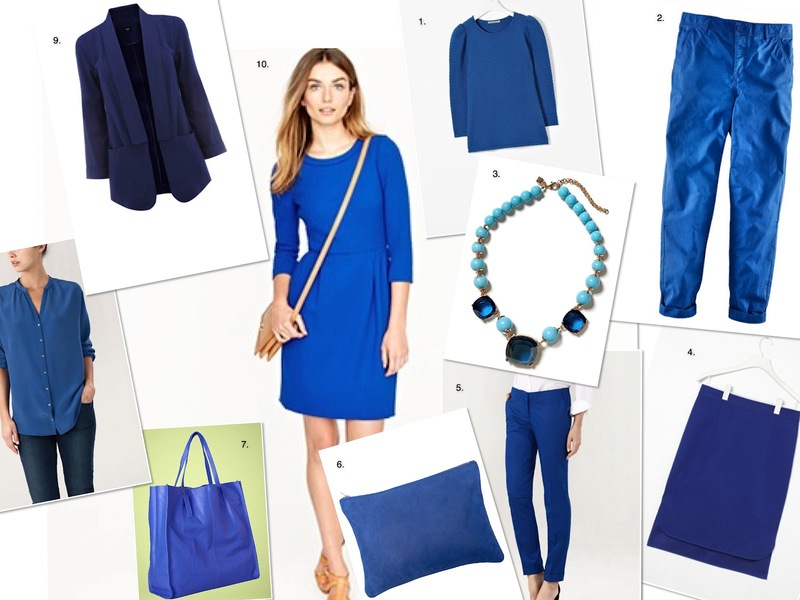 Bold primary colours are key for SS2012, and following on from my post last week on how adopt green into your wardrobe, here'a a post on how to be blue. The street style pics from the recent fashion weeks have shown fashion editors embracing this trend for their front-row outfits. But this isn't just a look that works for day - blue works well for evening wear too. Ever versatile, it works well as a strong flash of colour for your accessories, like the clutch bag in the picture below or this leather tote bag from John Lewis, or my blue sling-backs and jewellery seen here, but it also looks great as a top to toe outfit. The key is to go for a strong, royal blue, rather than anything pale, or leaning towards turquoise. Here are some high-street options for you to embrace the look with.